It’s become a cliche to say “the book is the better than the movie”, but it’s a cliche for a reason. 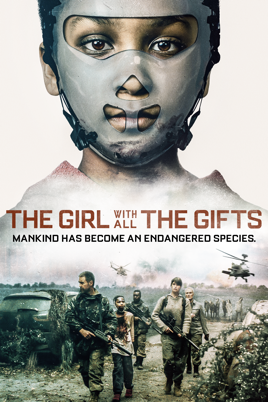 The Girl with all the Gifts is better as a book than as a movie because the book goes into much more detail than the movie can given its medium. How boring would it be if a movie just showed someone thinking for thirty minutes? And yet whole chapters of books are filled with nothing but the thoughts of characters and it remains fascinating. Another advantage books have over movies is they have more room. Even when a book gets turned into a television series like The Terror or Game of Thrones, there are parts in the book that get left out of the screen adaptation due to time constraints. Game of Thrones the television series also combined characters together to streamline the story, but in some cases, this made the show more confusing. Each issue of The Watchmen graphic novel ended with a surprise twist. While I do think the movie version had a better overall ending, the fact that it was condensed down into a movie rather than a television series meant the surprise twists came too fast for any of them to have any real impact. The examples I’ve given so far have been decent movies that weren’t quite as good as their source material. However, there are also examples of movies that completely rewrite its source material as with The League of Extraordinary Gentlemen or Tim Burton’s Alice in Wonderland in which the movie ends up bearing little or no resemblance to the book it was supposed to be based on, giving us something completely new and just using the title of a book to draw an audience. So books are usually better than even the best of movie adaptations. However, it’s also true that there are movies which are true to the books they’re based on or even better than the books. This makes sense for books which are primarily visual in nature. Seeing a cool visual is usually better than reading about a cool visual. I feel like I Am Not a Serial Killer and V for Vendetta fall into a middle ground with the book and movie both being equally good. I never saw the movie for The DaVinci Code because the book basically read like a screenplay to me. I felt like I’d already seen the movie without watching it. Jurassic Park is another book that read like a screenplay. I liked the movie better for this reason. If the book is just going to focus on cinematic aspects, there’s no point in reading it. Also, movies/television series can sometimes improve upon a book by virtue of the fact they are a second draft. For example, I never read the book for Fight Club after I heard author Chuck Palahniuk said the movie was better. Here’s one of the things he said about it: “Now that I see the movie, especially when I sat down with Jim Uhls and record a commentary track for the DVD, I was sort of embarrassed of the book, because the movie had streamlined the plot and made it so much more effective and made connections that I had never thought to make.” When even the author of the book says the movie is better, why bother reading the book? Movies also have more people involved, which can either be a good or bad thing. On the one hand, too many cooks can spoil the pot, on the other hand, there’s strength in numbers. Another advantage movies have over books is the ability to visualize. Books can describe a scene and readers can picture it in their heads, but sometimes actually seeing something happen is superior to imagining it happening. Also, it can be easier telling characters apart based on how they look versus just reading their name. I guess the opposite is true as well. Characters in a book can look however you want them to when you’re reading, but if the actor in the movie doesn’t look how you pictured them, it can ruin the movie for you. So whether the book is better, the movie is better, or they’re both the same depends on the writing style. If the author is primarily interested in things like action, dialogue, and interesting images, the movie will probably end up being better. If the author focuses on stream of consciousness, the book will be better because movies aren’t the right medium for portraying that. A book can be a mix of the two, and I think this will make for both a good movie as well as a good book.